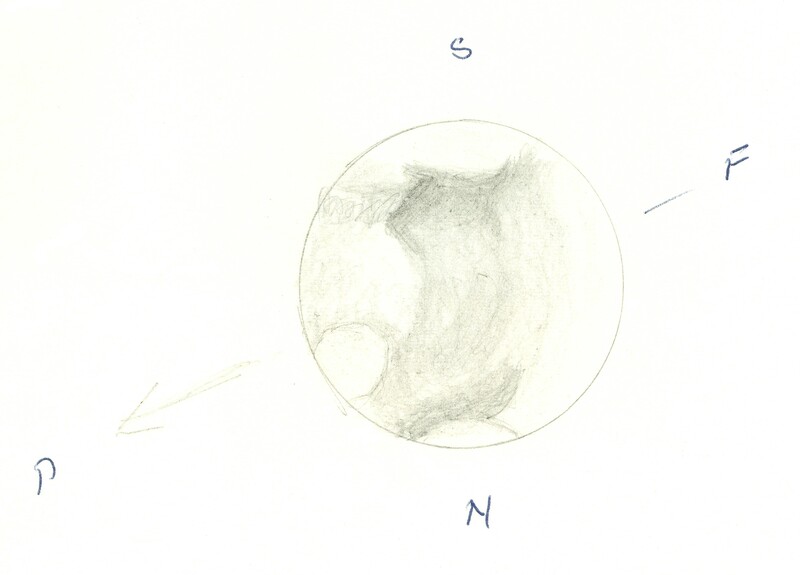 Mars on 1961 January 4/5 at 20:45-20:55 local time (01:45-01:55 UT) as sketched by G. Wedge. C.M. 250°. 6" refractor at 220x. Seeing 2/10. Transparency 3/5. T = 1°.